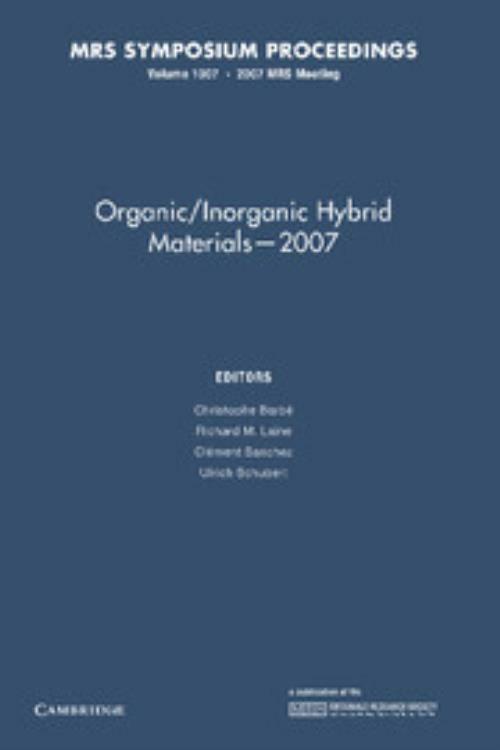 The field of organic/inorganic hybrids has evolved significantly, providing materials with increasing architectural complexities and functionalities. Scientists involved in this field are gradually moving from building materials using a classical molecular approach (e.g. polymerization) to assembling materials on the nanoscale, using a variety of innovative strategies which can vary from the assembly of DNA motifs, to the formation of mesoporous materials by spinodal decomposition, or the use of nanoparticles or oxoclusters as nanobuilding blocks for building complex structures such as nacre-like transition metal oxides. This precise control over the materials architecture also adds functionality to the hybrid materials, whether it is for designing special membranes for phase separation and chromatography or thin films for photonic or magnetic applications. This book presents contributions from researchers worldwide and discusses organosiloxane-based materials; mesoporous materials and films; layered materials; surface and interface modification and characterization; controlled release and biological applications; nanoparticles synthesis and assembly; nanocomposites and new concepts. Richard M. Laine University of Michigan, Ann Arbor. Clément Sanchez Université de Paris VI (Pierre et Marie Curie). Ulrich Schubert Technische Universität Wien, Austria.